The London Rock and Roll Show was a concert held at Wembley Stadium in London, England, on 5 August, 1972 and amazingly was the first ever concert held at the stadium. The concert included performances by major performers including Bo Diddley, Jerry Lee Lewis, Little Richard, and Bill Haley and His Comets. 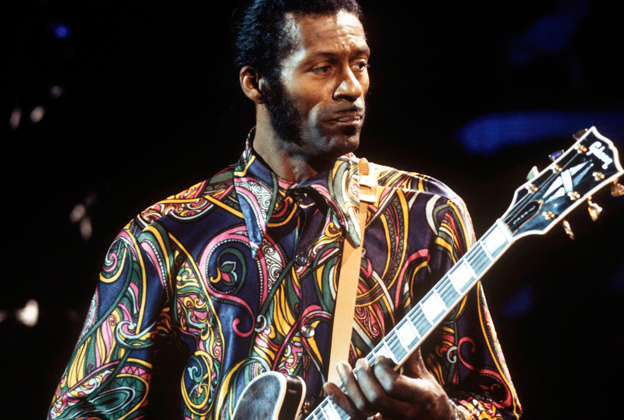 The concert ended with an extended performance by Chuck Berry, who at the time was enjoying major chart success in Britain and the US with his “My Ding-a-Ling”. Originally billed rock’n’roll era acts The Platters, The Drifters and The Coasters were unable to perform due to work permit issues. The show was opened instead with sets from British rock’n’rollers The Houseshakers, Joe Brown, Emile Ford & The Checkmates, Screaming Lord Sutch, Heinz ( with Wilko Johnson on guitar) and Billy Fury; as well as songs from Jerry Lee Lewis’s sister Linda Gail Lewis. Roy Wood’s new band Wizzard, only formed a few weeks previously, also made their live debut at the show. The concert was filmed and released in 1973 as The London Rock and Roll Show, directed by Peter Clifton. Which can be seen in full in the video clip below.